Ramirez has contributed articles to Annual Review of the Sociology of Religion, Canadian Journal of Pentecostal-Charismatic Christianity, and Pneuma: The Journal of the Society for Pentecostal Studies. She has presented academic papers to the Society for Pentecostal Studies, Association for the Sociology of Religion, and the Red de Investigadores de Fenomenos Religiosos. 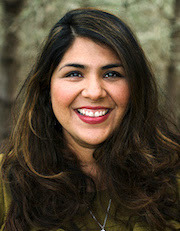 She is an Hispanic Theological Initiative scholar, a fellow with the Forum for Theological Exploration and a doctoral fellow with the Louisville Institute. Her research interests include women’s lived religion, Latin American religion, 20th century Pentecostalism, and Latina/o Pentecostalism. Erica is passionate about the value of Pentecostal worship traditions and has served as a worship leader in congregations throughout the United States.